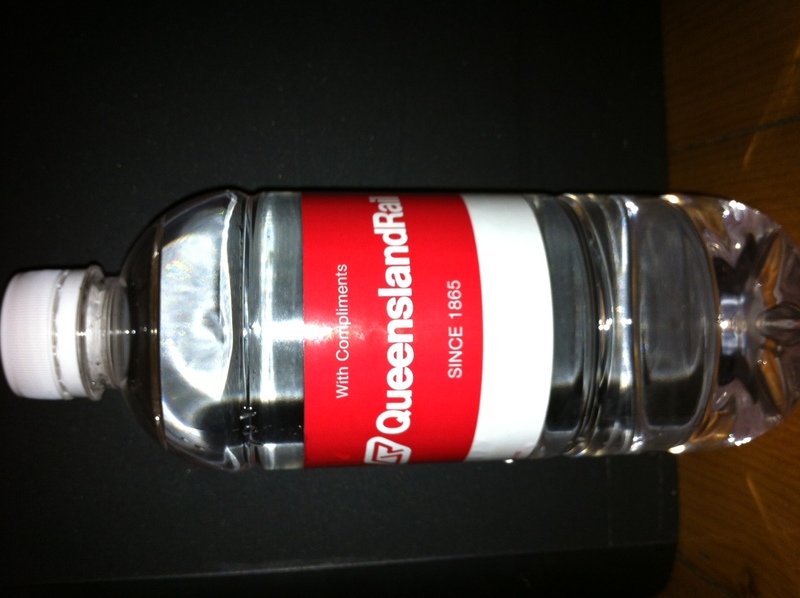 Commuters in need of water are being forced to go thirsty following the removal of water fountains across the Queensland Rail network. Bubblers that were standard at stations are being quietly dismantled with no consultation with rail users. Thirsty travellers and an advocacy group have blasted the secret policy. Catherine Stokes (pictured left), a commuter on the Cleveland line, said it was “a shame” QR were removing water fountains from platforms. “You can’t always afford to buy a bottle of water from the vending machines, and sometimes you just need a quick drink to rehydrate before getting on your train,” Ms Stokes said. Other users of the bubblers said they were surprised and angry that the water had been cut off. 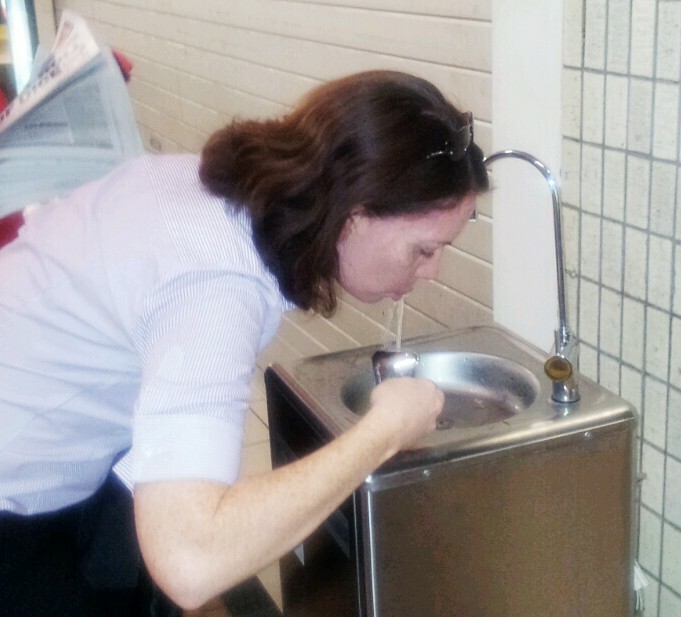 Many people – including some QR staff – were observed drinking from existing bubblers, or refilling their personal drink bottles. A Queensland Rail spokesperson said bubblers were a target for vandalism and anti-social behaviour, and also a public health hazard if misused. “For these reasons, Queensland Rail will not be repairing or replacing any water fountains which are damaged or vandalised,” the spokesperson said. However it is not only vandalised bubblers that have been removed. Water fountains have disappeared from stations undergoing renovation. QR said thirsty commuters could ask station staff for a free bottle of water – but as QR hasn’t advertised this service, very few people know about it. Mr Dow … removal of bubblers "a serious concern"
And public transport advocacy group Rail Back on Track says stations are insufficiently staffed for it to be successful. “A lot of the stations are completely unstaffed, and the stations which do have staff are usually only for a short period of time in peak hours, so how do people get water outside of those hours?” Rail Back on Track spokesman Robert Dow said. “People often have to wait long periods of time in hot conditions and having access to free drinking water is extremely important,” he said. 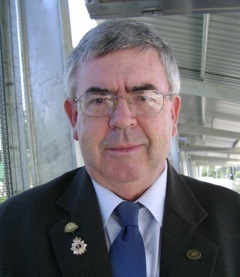 A retired medical science academic, Mr Dow said having free water available was vital in south-east Queensland, which had some of the worst train frequency times in the world. Mr Dow said Rail Back on Track was also concerned about the lack of public toilets at train stations. “With a growing elderly population this is a serous concern, and it’s actually discouraging people from using public transport because if they find themselves in distress they will have nowhere to go,” he said. 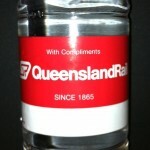 One of the free water bottles handed out by QR staff to people who ask – but how many people know? a drink of water they can get one – it’s not a big ask. 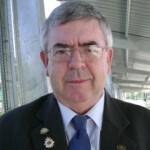 Mr Dow called on the government to reverse the QR policy and reinstate water fountains across the network. “The Minister for Transport actually needs to intervene here and get water fountains operational again, particularly on new stations like Darra,” he said. UPDATE: Three days after this story was published exclusively by Newsbytes, Transport Minister Scott Emerson reversed the ban on bubblers. Botteld water is ridiculous, people used taps for generations and now QR is wasting money and stuffing up the. environment because of some stupid management decision to not fix them… Bring back the taps now!